Multitasking rises to a new level when you configure the Fusion 500 multi-station gym into a system that works for you. 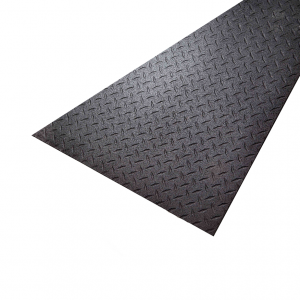 Just add the stations and accessories that will help you achieve your specific fitness goals. Then, work out on your own time, at your own pace, in your own home. With its revolutionary functional training arms, design-forward aesthetic and motivating presence, you’ve found a new partner in total physical fitness with the Fusion 500 home gym. Design your gym to adapt to your available floor space and address your training needs, preferences and goals. 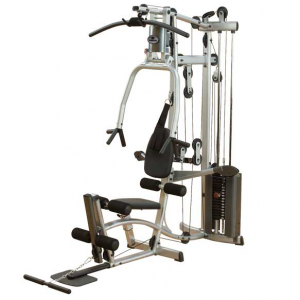 Station to station, the Body-Solid Fusion 500 offers you a superior workout experience, with the function and flexibility to perform over 60 exercises, including: chest press, incline press, decline press, lat pull-down, leg extension, bicep curl, tricep extension, mid row, cable row, shrugs, shoulder press and many more. 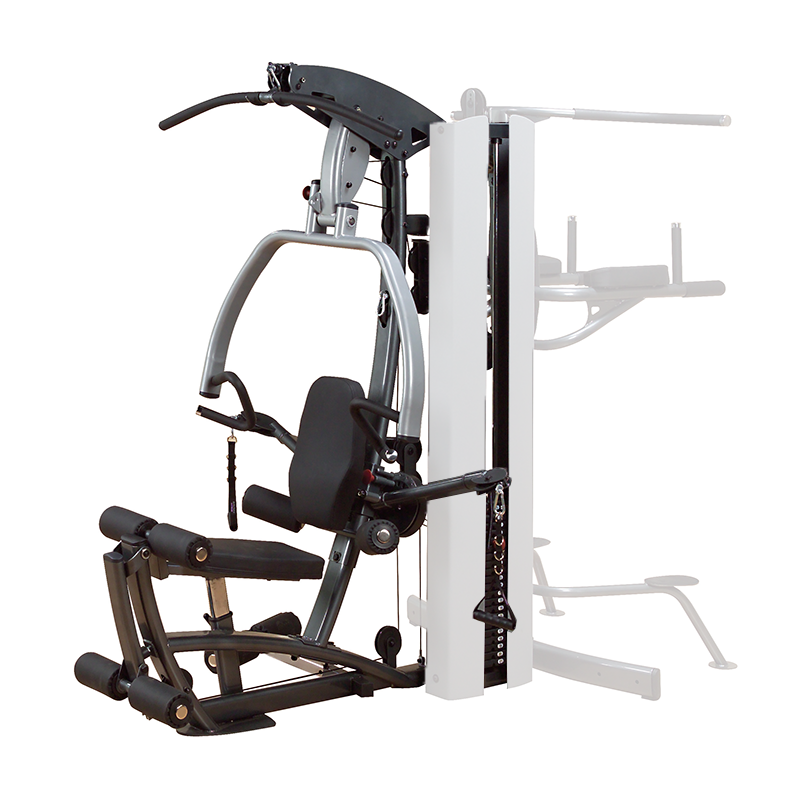 The Fusion 500’s single-stack, multi-function approach to home gym design offers you an amazingly versatile workout. Isolate individual muscles or introduce functional training into your routine to establish and sustain improved coordination, balance and stability. 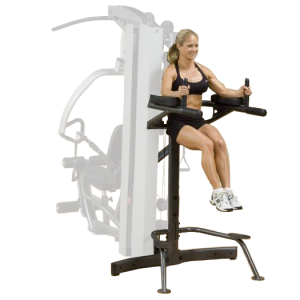 Whether you configure your Fusion 500 single stack gym to include a multi-hip station, vertical knee raise/dip station, leg press, weight-assisted pull-up station, inner/outer thigh station or chin-up attachment (these attachments are sold separately and are available under the Accessories tab above), form and function converge to provide you with balanced, biomechanically efficient upper and lower body development. 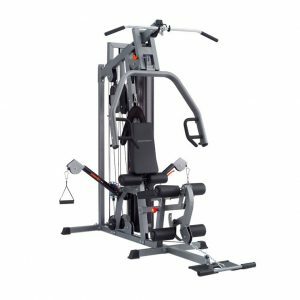 Owning club-quality fitness equipment encourages a very important aspect of strength training… motivation that will drive you to sculpt your body to its ultimate form. 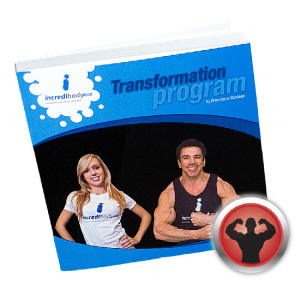 You’ll have the tools to lose unwanted pounds and replace them with lean muscle mass. You’ll create a workout regimen that renders fatigue a distant memory. You’ll increase your endurance and achieve results with each repetition. 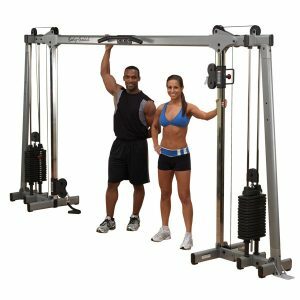 The Fusion 500 modular multi-station gym is packed with the features of a high-end system at a price you can afford. Best of all, you’ll achieve your goals and enjoy the results of superior engineering and design. 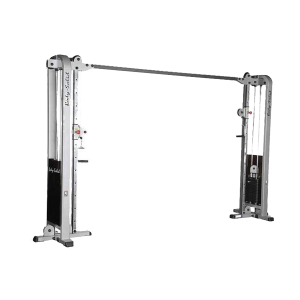 Body-Solid is recognized worldwide as a leader in home gyms and commercial strength training equipment. Over 5 million customers are enjoying the results of strength training in their everyday lives. 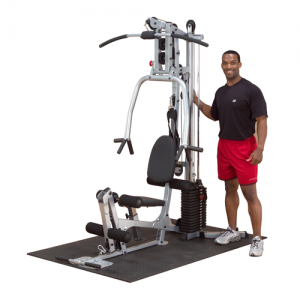 Body-Solid equipment is designed to fit a wide variety of lifestyles, space requirements and user sizes. 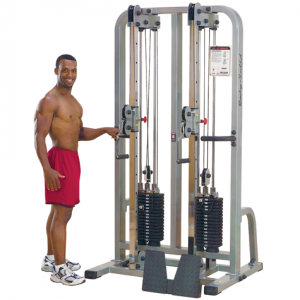 • 4-position standard press arm with ergonomically designed multi-position handles. 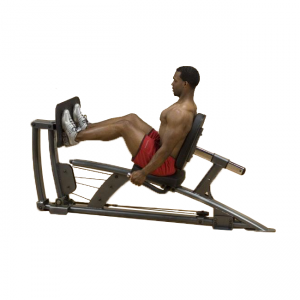 • Leg extension with pivoting rollers that provides a full range of motion and allows you to feel your quads being worked through the entire range of movement. 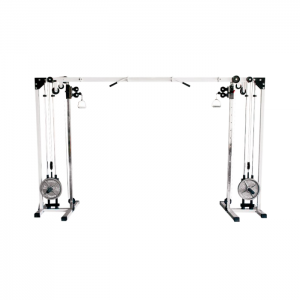 • Synchronized articulating functional training arms with range extending from upper ab exercises to side-accessed workouts. • Gas assist telescoping seat and telescoping back rest with multiple position cushion that ensures comfort and adjustability for any size user. • Two pre-cabled accessory attachment points that enable you to configure your Fusion 500 to be as individually unique as your personal goals and routines demand. 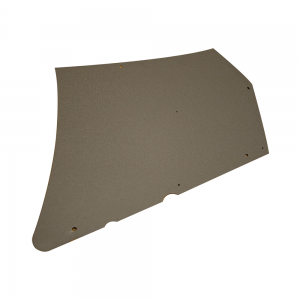 • Superior engineering and construction backed by the Body-Solid guarantee to last a lifetime. 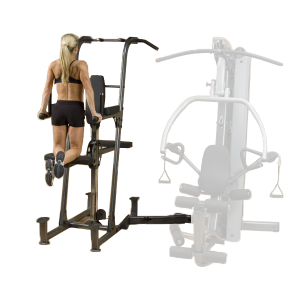 • May add attachments to both sides of gym. • Left side facing gym – 1/2:1 ratio. • Right side facing gym – 2:1 ratio. • Workout Placard with 20 exercises examples included. 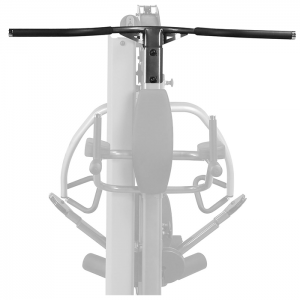 NOTE: Vertical Knee Raise Station, and Pull-Up Bar are sold separately! • Choice of 210 lb. Or 310 lb. Weight stack. • 4 position standard Press arm with ergonomically designed multi-position handles. 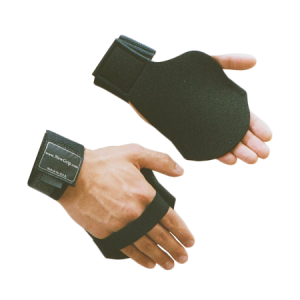 • Synchronized articulating functional training arms with range extending from upper ab exercises to side accessed workouts. • Telescoping back rest with multiple position cushion. 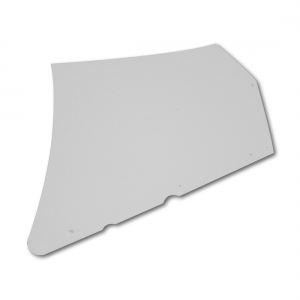 • Two Pre cabled accessory attachment points. • Dimensions: 83″ H x 76″ L x 48″ W.